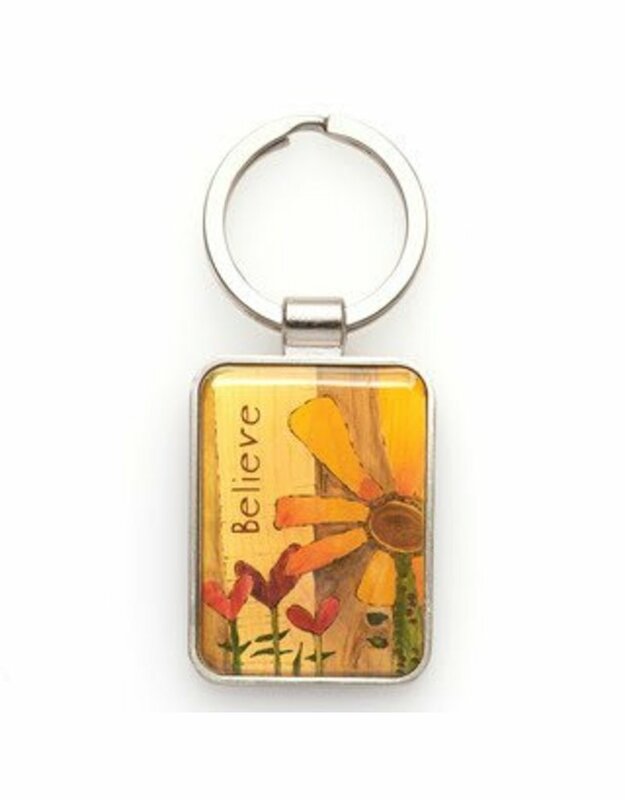 Featuring Stephanie Burgess' characteristic cozy colors and rustic images, this warm and wonderful keyring illustrates the joy of believing in God’s Glory. 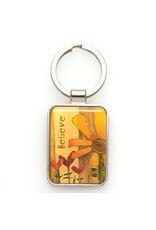 Sturdy 1” diameter split metal ring holds keys, charms, scan cards, IDs, jewelry, fobs, flashdrives, flashlights — you name it. Front medallion design is epoxy-coated; reverse side is stamped with text of 1 Thessalonians 2:20. Share the joy of God's glory with family and friends! Coordinates with all items in the Golden Blossom gift collection!